Make a project about Mother's Day. I chose to make this box card from SVG Cuts called Box Cards SVG Kit. I added two Cricut cuts to it-the Happy Mothers Day sentiment from Florals Embellished, and the envelope on the back from Tags, Bags, and More. The papers are from Lili of the Valley (UK Company-magazine freebie! ), along with scraps from my stash. I added pearls to all of the flowers centers (stash remnants), and added white accents to the boring green flower (white Uni-ball Signo gel pen). I found a nice Mothers Day poem on the internet and printed it on regular copy paper, trimmed, folded, and stamped MOM (Paper Smooches Pretty Momma set, Forest Moss Distress Oxide Ink) to insert into the envelope on back. Let's face it, box cards don't have a lot of room for poems! 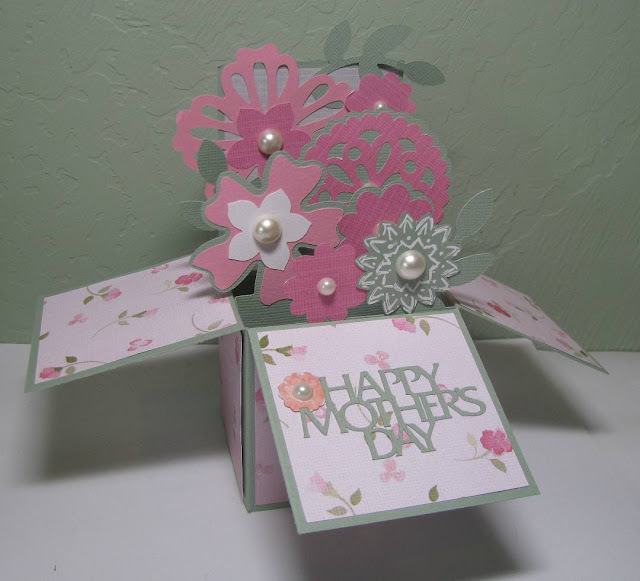 Make a Mother's Day card for a mom in your life-she'll love you for it! Such pretty paper and I love those flowers! 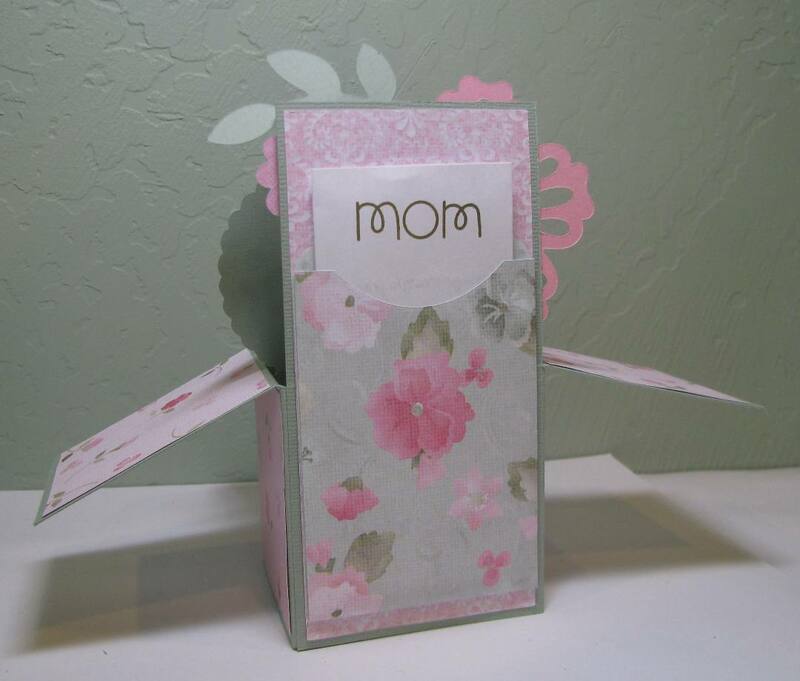 Cute pop up card for your mama! So pretty! I love a box card and this one is super pretty for Mom! The envelope in the back with the poem is super sweet and a great idea! A is for April, and Altenew!